Grooves matter most on “Rumbo a Tierra,” by the Colombian collective Systema Solar, and they’re magnificent grooves. 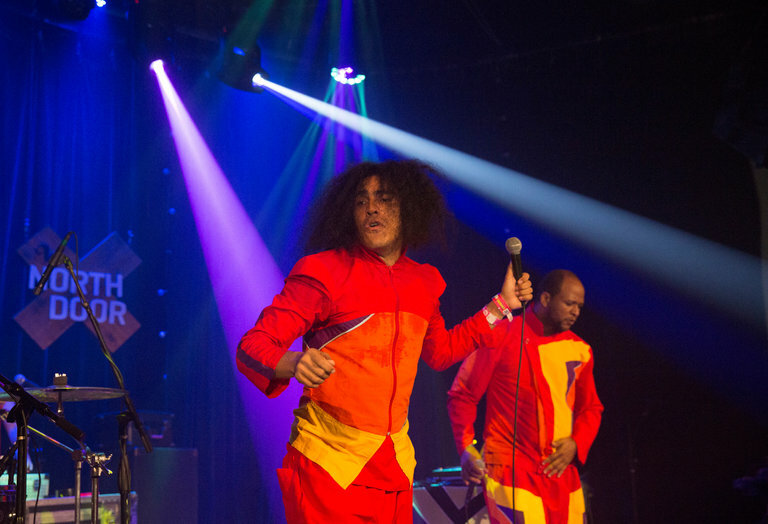 Systema Solar comes from Barranquilla, a major port city on Colombia’s Caribbean coast, and its music makes connections to the sound-system D.J. culture that extends across and around the Caribbean, to Colombian folk traditions, to all sorts of electronic transformations and to anything else the group decides to latch onto, from Jamaican dancehall to Moroccan trance music. Reed more.